Summer has arrived and vacation season is in full swing... so where are you going? Will you stand in line at yet another amusement park? Or do you prefer wrestling with the hassles of foreign travel? Before you give up on a vacation altogether, consider a trip to North America's very own tropical paradise, complete with pristine beaches, elegant resorts, live entertainment, sunset dinner cruises, and a variety of Key West diving and snorkeling adventures and even dolphin encounters! There is no need to travel halfway around the world to enjoy snorkeling above brilliantly colored coral reefs, touring a stunning coastline on jet skis, or exploring a museum dedicated entirely to the romanticized lives of pirates and old world sea captains. You can explore shipwrecks while enjoying Key West scuba diving or you can encounter dolphins on a Key West snorkeling adventure. You are sure to remember this vacation for many years to come! 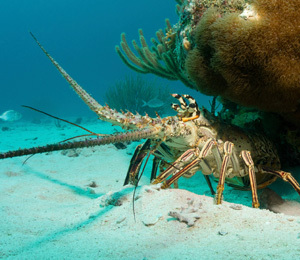 Key West snorkeling allows you to enjoy the buoyant freedom of diving without being certified. You can choose from several Key West snorkeling packages that take you to shipwreck sites, to stunning coral reefs, and even to encounter dolphins. You'll find a Key West snorkeling adventure aboard a glass-bottomed boat, which takes you to an underwater dolphin playground. At this point, you don the gear provided for you by your expert guides and your Key West snorkeling tour turns in to a dolphin encounter! Key West Dive Center offers many such scuba diving in Key West and snorkeling packages for every skill level, schedule, and budget. Most Key West snorkeling adventures include lessons, complimentary food and beverages, and all of the necessary equipment. You will be taken aboard sleek boats that take you to remote, undisturbed areas where you can explore the underwater beauty that is home to countless, curious tropical fish, sea turtles, spiny lobsters, and more crustaceans that you could ever hope to identify. Key West scuba diving is a dream come true. As you hang weightless in the ocean water, you will observe eagle rays, stingrays, anemones, dolphins, sharks, hermit crabs, and several varieties of sport fish. If you are not scuba certified, you can be in a few short hours. Scuba diving in Key West can take you to Joe's Tug, a shrimp boat that sunk in 1986. Raised for a cleaning, it was re-sunk to act as an artificial reef, but was stolen and then dropped on the way to an unknown destination. The wreck was split in half by Hurricane Georges and is currently home to a friendly moray eel and a 200-pound jewfish named Elvis. There are many other equally fascinating shipwreck sites and coral reefs that you can explore on your Key West scuba diving vacation. The Aquanaut is a delightful Key West scuba diving experience that brings you close to this 55-foot wooden tugboat that sank in 1967 and is still in excellent condition. This site is home to shrimp, crabs, lobsters, stingrays, and yellowtail snapper. Another heavily populated Key West scuba diving site is the 75-foot All Alone tugboat, frequented by barracuda, grouper, snook, and many smaller tropical fish that serve as food for the larger species. Your Key West scuba diving and snorkeling vacation will provide you with a lifetime of memories. Once you have experienced Key West snorkeling and scuba diving, you will probably want to return for a Key West dolphin encounter on your next vacation!